Portugal – Spain is the first real derby of the World Cup in Russia. Sadly, we know that derbies which take place during the first day aren’t treated very seriously by the two teams, but we also have reasons to believe this one will be different. For one, Ronaldo’s rivalry with all the Barca players in the Spain squad will not go unnoticed, and we’re sure neither team wants to lose their first game at the World Cup. But are they really that balanced? *Bonus is 50% of deposit.Bonus code: WELCOME50. Rollover is x6(deposit and bonus). Min odds for bonus is 3/5. 18+, begambleaware.org T&Cs apply. Portugal, the winners of Euro 2016, aren’t seen as strong favorites to win the World Cup. They’re what we generally call a tier 2 team, lacking that special “ something “ which can actually net them large competitions. Cristiano Ronaldo is, of course, the player to watch as he will try to throw away our analysis and lead his team to another national title. The core of the squad which won Euro 2016 is still here, and their qualifying run has been very impressive. Most of the players are also at peak performance age, meaning that Portugal will be a tough nut to crack for anyone. *Min deposit £10. You must wager the bonus 3x to make it withdrawable. Min odds 1.40, bonus will expire after 30 days of opt-in. 18+, begambleaware.org, T&Cs apply. Ironically, they even have the experience advantage over Spain this time around. We say ironically because most of us still think of the epic Spain team which won several titles some years ago, led by Xavi, Iniesta, and Torres. Iniesta is still here, but he’s surrounded by lots of new names, and a few old ones too. The Spanish defensive line is especially experienced, but they seem to lack a classic goal scorer for this tournament. Morata, Diego Costa or Iago Aspas all show promise, but not certainties. However, Spain might not need a lot of goals from them. After all, they are experts in winning 1-0 or 2-0. That is one of the things we’ll try to take advantage of in our betting recommendations, aiming to win money of some of the best world cup odds. A correct score of 1-1 can be a valid choice here, and even going for an outright “X” bet would be recommended. In fact, we’re sure both teams will be more concerned with not losing than with winning, as a draw wouldn’t really hurt anyone. We’re also fairly sure that Spain will score at least one goal, and that they’ll enjoy the lion’s share of possession – but not extremely high amounts. At the end of the day, our best recommendation is still the “X” bet. Betting odds are presented at the time of writing. Please check them with the respective bookmaker. 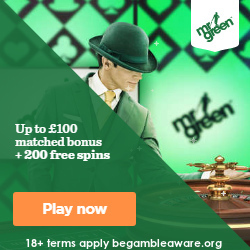 *T&C’s apply to all betting offers and bonuses. 18+, please gamble responsibly.